Once the ball dropped and the ABC network declared a decisive end to 2013, everything happened in a flash. Aloud had an incredibly busy year in 2014, and if you blinked, you might have missed something. With that in mind, dear internet, we present you with the ultimate ICYMI: the biggest and baddest TBT of the season stuffed into one post like a nostalgia turducken. Shortly after the surprise release of “A Little Bit Low”, the first single off It’s Got To Be Now, Aloud took the stage at Redstar Union in Cambridge. The concert was broadcast live online, giving the world its first taste of what was to come with the upcoming album. The full concert may be viewed at the Redstar Union site. 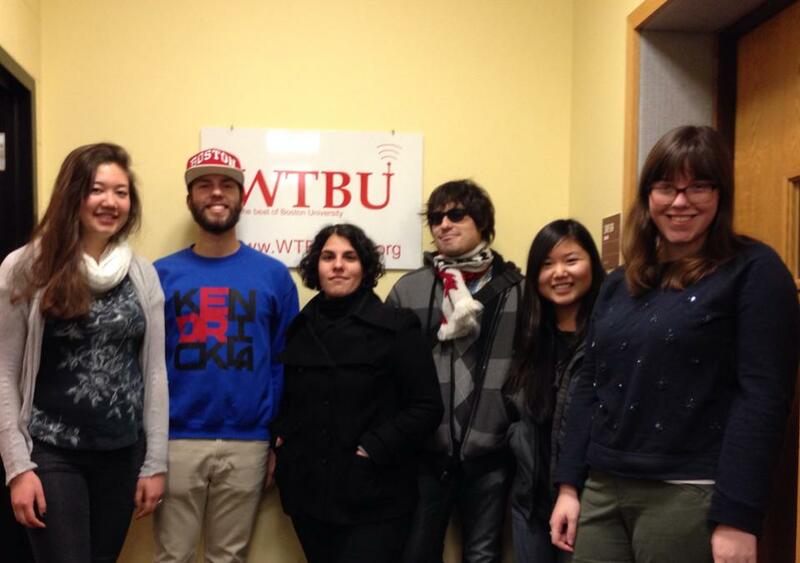 Jen and Henry made their debut appearance on WTBU radio for an interview on Left of the Dial in January. The WTBU interview touched on the origins of the band, recording and touring for Exile, and how this all led up to the live-in-the-studio recording of It’s Got To Be Now. There may have even been some Dungeons and Dragons chatter. 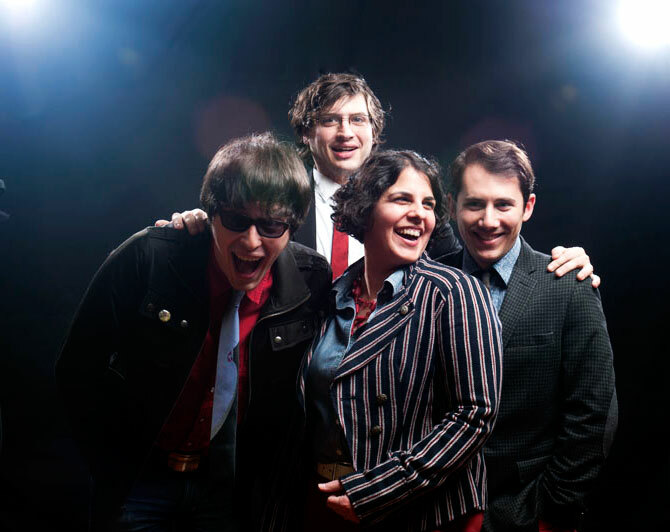 As It’s Got To Be Now got closer and closer to its release date, Jen and Henry sat down with Jed Gottlieb at The Boston Herald to discuss the upcoming tour, the impetus behind the record, and to perform a couple of songs. The accompanying Boston Herald article also features full acoustic performances of the second single and title track “It’s Got To Be Now”, and “Don’t Let It Get You Down”. It’s Got To Be Now was released on April 1st! Then Aloud performed on Saturday Night Live that weekend, as evidenced by the unimpeachably convincing title card. The inaugural leg of the It’s Got To Be Now tour saw the gang make a stop at WGTB in Washington, D.C. The 20 minute conversation with Jackson Sinnenberg ahead of the show at Tree House Lounge covered recording the album, using Kickstarter as a funding platform for the last two records, and a meandering tale on the origins of the album’s closer, “The Ballad of Emily Jane”. On the NYC tour stop for It’s Got To Be Now, Jen, Henry, and Frank headed to Serious Business Studio — where the vocals to It’s Got To Be Now were recorded — to film a session for BTR Live Studio. 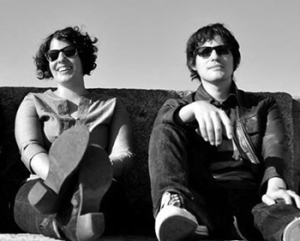 In the interview, Jen and Henry spoke with Kid in the Attic’s Maia Macdonald about It’s Got To Be Now, the current landscape of live music in Boston, what they did for Record Store Day, and where to find the best (and worst) burritos in the country. The podcast features a longer cut of the interview, and the full unedited (and unique) performances. Over the summer, Aloud went on a radio tour of sorts. Jen and Henry popped down to WEMF for the Outlaw Roadshow to perform acoustic versions of “Don’t Let It Get You Down” and “Jeanne, it’s Just a Ride!” in the studio. 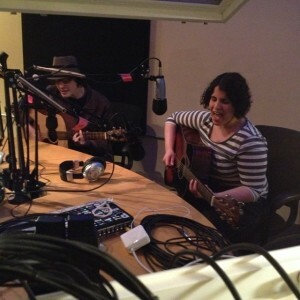 The Bynars’ Matt Jatkola chatted it up with Jen and Henry for his songwriting podcast, Demo Mirror. 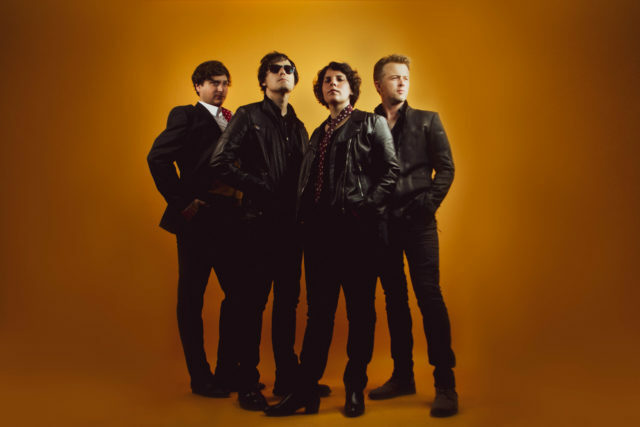 The in-depth interview focuses on the writing and recording of “Such A Long Time”, but ends up going down all sorts of strange roads and avenues. Jen and Henry share stories of the writing and recording of It’s Got To Be Now, the Exile tour, Motown, and what it’s like to work with Charles, Frank, Benny Grotto, and Charles Newman. Essentially: geeking out about music. Along the way, demo recordings and early mixes of songs from It’s Got To Be Now are featured. After stops on WZLX’s Boston Emissions and WMFO’s The Dweezil Show, Aloud went right back to WEMF, this time for an interview on Citywide Blackout. The interview covers Mad Oak Studios (where It’s Got To Be Now was recorded), advice for those undertaking a Kickstarter campaign, favorite tour stops, and the Boston Music Illuminati… “man thongs”? The appearance also features the first acoustic performances of “Back Here With Me Again”, and the only one (so far) of It’s Got To Be Now closer “The Ballad of Emily Jane”. Jen and Henry show up around the 1:14:00 mark, but as always, you should listen to the whole show for an interview with Sean McLaughlin of 37′ Productions and a live set from our friends The Shills. In August, Aloud performed a one-of-a-kind stripped down gig at the intimate Lizard Lounge in Cambridge. By the sheer power of fire codes, room capacity, geography, and astute statistical analysis, it’s probable that you were not there. Lucky for you, Stephen LoVerme and Erin Genett of Treebeard Media (a/k/a the team responsible for making this and filming this) and OldJack guitarist and longtime Aloud cohort Hugh Wyman defied the numbers and were there to capture this performance of It’s Got To Be Now‘s”Jeanne, It’s Just a Ride!”. Since October 16th of this year, Jen and Henry have been playing music in public together for literally half their lives. While putting down acoustic demos for new songs, they decided to mark the occasion while the mics were still on and recorded a cover of the song they performed years ago, Oasis’ “Don’t Go Away”. That same month, the gang recorded another cover for their October show, annie*rock’s Rock n’ Soul Night at T.T. the Bear’s Place. 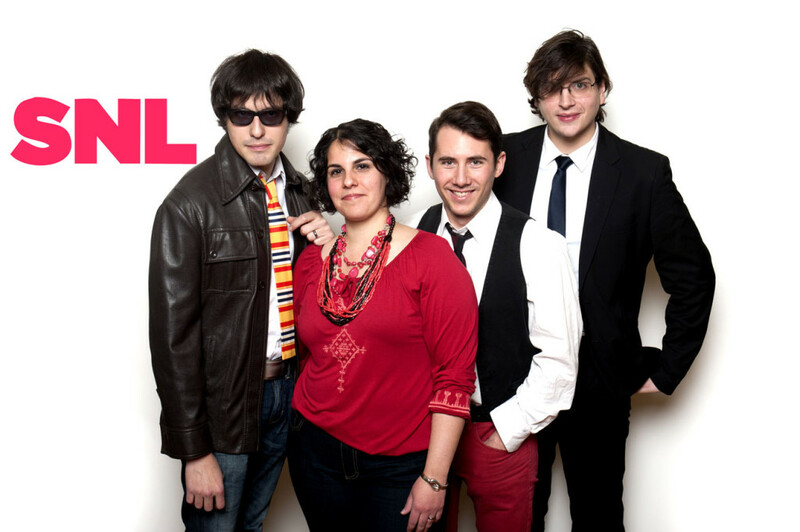 Their cover of Edwin Starr’s “Twenty-Five Miles” was recorded live at Aloud HQ and is available for free download! If October wasn’t action packed enough, Aloud headed down to NYC during CMJ as part of traveling roadshow SXNE’s For Liberty’s Sake. The monster bill included the likes of OldJack, The Rationales, The Silks, Le Roxy Pro, The Nate Leavitt Band, and Tigerman WOAH! Last month, Aloud’s song “Darkest Days” was included in the Keep Safe Boston compilation. Proceeds from the 50 song pay-what-you-want compilation goes to the Planned Parenthood Advocacy Fund of Massachusetts. The song was featured alongside other New England heavy hitters Corin Ashley, The Rationales, Hallelujah The Hills, Ad Frank, and many, many more. Lastly, here’s a previously unreleased Christmas-y cover of “From Me To You”. Aloud recorded this last year with Benny Grotto to test Mad Oak’s new digs (and later magicked by Charles Newman). All said, it was an incredibly eventful year thanks in no small part to you! There’s some very fun stuff on deck for 2015 — and, of course, more tour dates — so stay tuned. And, if you haven’t done so already, sign up for our email list, dude. Happy holidays. Happy new year. Hug everyone.